Richard J. 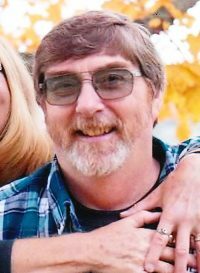 “Rich” Dunn – 56 – of 7978 State Route 36 (The Oaks), Arkport, NY died Friday evening (January 18, 2019) at home, following a long illness. Words just can not express the deep sorrow we are feeling for you during this most difficult time. Rich was a great guy, a loving husband and father and his presence will be sorely missed. Far to may times life is just not fair. Rich was way to young to be taken away. I always enjoyed working side by side with him during our years spent together at Steuben County. We’re here for you if you need anything! My deepest sympathy to the Dunn family. Rich had a huge heart and always brought smiles to people he touched. Heaven truly recieved a gift when Rich arrived. So much tragedy has occurred in your family. May God hold you in his arms to heal your broken soul. We cannot possibly imagine what you feel right now. May God bless and comfort you and your family during this difficult period. Please accept our sincerest condolences.